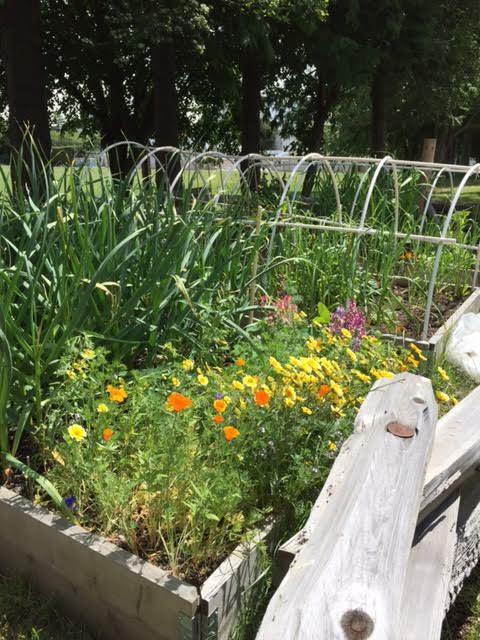 A new program at the James Bay Community Project is planting the seeds to encourage little gardeners and show them how to grow flowers, herbs, and food for themselves and the community. Nancy Smith, JBCP Family Centre Coordinator, is hopeful that the program can get started once we have a few volunteers join our small gardening team. “Once the weather turns a little bit and it starts getting sunny, I imagine we can get started right away in terms of turning over the garden bed. There are a lot of pieces to the project. One is having an overall vision of the total space in terms of the playground equipment …” and other garden elements. The Growing Little Gardeners children’s gardening program will happen during the JBCP Family Centre’s weekly playgroup drop-in time. It will be optional, but the families and children dropping in will be able to help the volunteers with the needed tasks that day. The JBCP will also offer scheduled (and advertised!) seasonal garden work parties where community members can help prep the soil, seed, weed, harvest, and enjoy the garden. The two-part project includes development of a children’s educational garden (in an extant 36-foot fallow bed within the JBCP footprint) and the enhancement of a community space, while providing a naturally green play space, augmenting the existing nearby children’s playground. The enhancements will include shrubs, flowers (to attract bees and butterflies), and better rain protection. Current and new volunteers will help JBCP Family Centre staff plan, oversee, and execute the creation of the program. If you would like to volunteer, do it now: What’s better than teaching children how making a mess digging in the dirt is the first step to grow food and make a meal for themselves and for others? It will also grow goodwill in the James Bay community, with the opportunity for residents to make new and diverse connections, work together, support the little gardeners, and share the bounty of flowers, fruits, herbs and vegetables grown in our own back yard! This project was made possible by a City of Victoria My Great Neighbourhood grant.